Landing a good job right out of college is difficult. Landing a job you love, on the other hand … hell, some people never get that kind of opportunity. So when Collins Davies offered me my dream job, I had to find out more. Two years ago, I received a random, unsolicited message to my personal email account from Hedge Corp, a company I’d never heard of. Usually I don’t open things like this, but something — probably the friendly subject line — made me take a closer look. 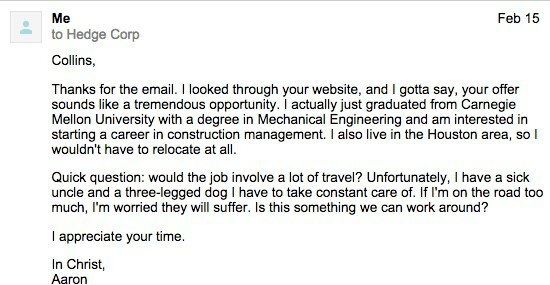 It was a job offer, and a couple of things impressed me right off the bat. First, while most entry-level jobs stick you in a sad, lonely cubicle for 40 hours a week, Hedge Corp was offering a close, personal relationship with “the manager.” They were offering a mentor. And at this stage in my career, that’s exactly what I need. Second, these guys clearly wanted a go-getter — a hustling son of a gun with a can-do attitude. And with the exception of Ice Bucket and Special K, I’ve never backed down from a challenge. So I tossed my hat in the ring. “Trustworthy,” “efficient,” “reliable” — this job had me written all over it. I wanted it badly. But before I got to work on my application, I decided to do some research on the company. 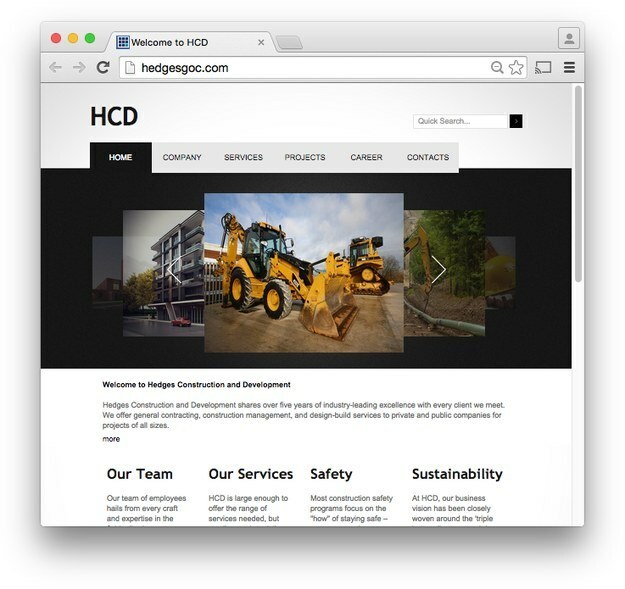 A Google search for “Hedges Construction and Development Corp.” came up blank. Weird. I tossed the address into Google Maps and was shocked to find that 15120 Northwest Freeway, Houston, TX is actually home to Konica Minolta, a Japenese technology company. Maybe Collins had made a mistake. Maybe he’d typed the address incorrectly in his email signature. Hell, I’ve done that more than a few times. Oh, nice. They have a website. Let’s check it out. Wow. A beautiful, one-of-a-kind website. They must’ve forked over $35k for this design alone. Let’s dig a little deeper. Impressive list of services. I’m equally impressed by the professional photography on display throughout the site. Stunning closeups of hardhats, boots and bulldozers. These aren’t just engineers. These are artists. Some interesting looking projects, for sure. But the site doesn’t offer a lot of details, and I was curious what kind of work the company does. 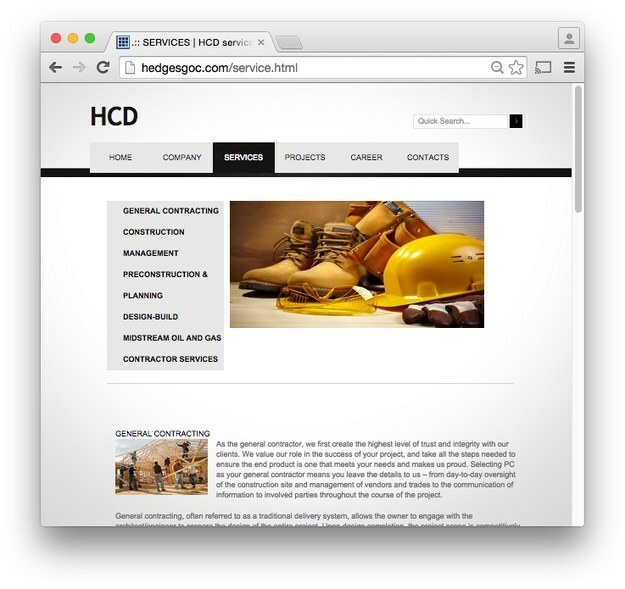 A quick reverse image search revealed that HCD designed a home in Seattle, a pit-mining operation in Canada and The University of Montana School of Law. These guys do it all. Collins Davies, CEO. I didn’t realize I’d been talking to the head of the company, but it didn’t surprise me. I mean, the man listed 5 specialties in his first email. 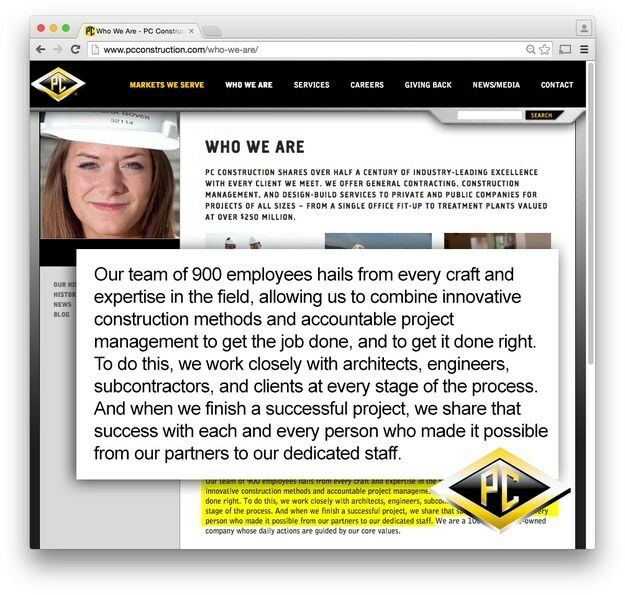 Our team of employees hails from every craft and expertise in the field, allowing us to combine innovative construction methods and accountable project management to get the job done, and to get it done right. 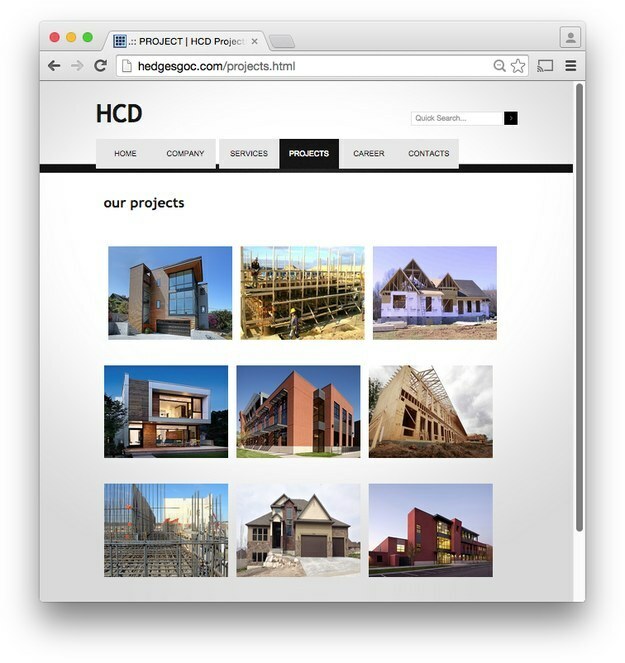 To do this, we work closely with architects, engineers, subcontractors, and clients at every stage of the process. And when we finish a successful project, we share that success with each and every person who made it possible from our partners to our dedicated staff. I can’t remember the last time a piece of writing moved me like that. Clearly Collins is an author, and I was itching to read more. I ran that quote through a Google search to see if he’d penned any op-eds in trade magazines or newspapers, but instead I found … PC Construction. These bastards had literally copy-and-pasted Collins’s entire biography into the “Who We Are” section of their website. Word-for-word. I was mortified. But it got me wondering … who else was capitalizing off of Collins’s hard work? 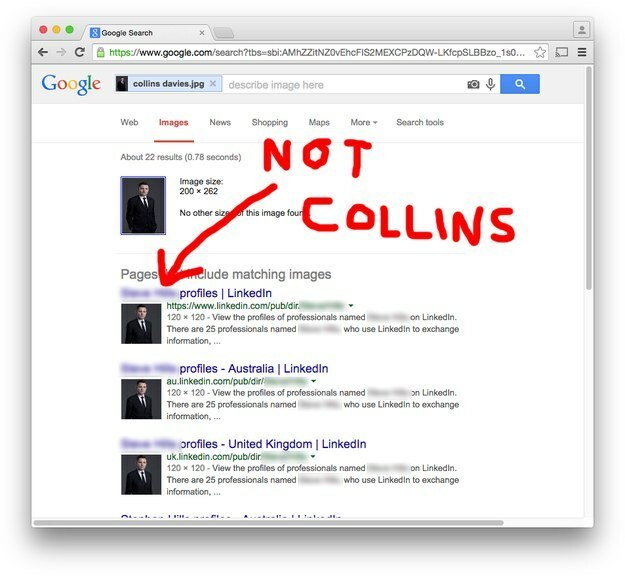 I did another reverse image search, this time of Collins’s picture. Some Australian dude was shamelessly using Mr. Davies’s picture on his LinkedIn profile. I couldn’t believe what I was looking at. I agonized over these findings for a day or two, but decided not to tell Collins what I’d uncovered. Maybe it wasn’t my business. Good news! I gotta say, though, I was pretty upset Collins didn’t mention my dog. What a heartless oversight. Maybe I had put Collins up on a pedestal. Sure, he cares about sick uncles, but when it comes to the truly vulnerable — a sick, incontinent, three-legged dog — he turns a blind eye. For the record, I worked pretty hard on my resume. Damn. This was the only contact information I had for Collins, and I wasn’t sure where to go from here. I still wanted the job, and more than that, I was worried about Collins. It wasn’t like him to just drop off the face of the earth. 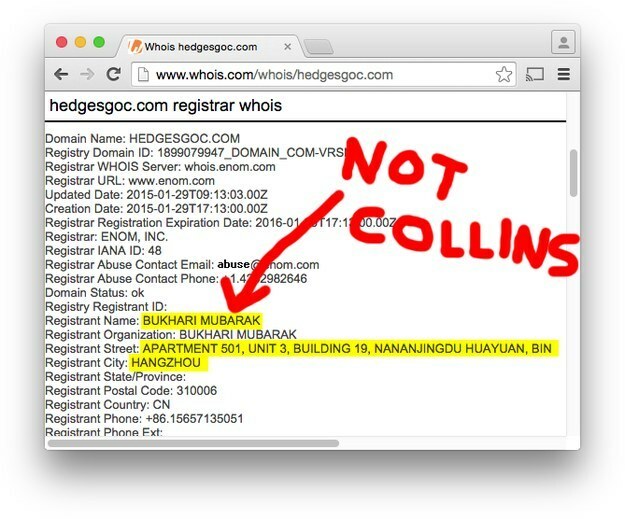 A buddy of mine suggested I look up the domain registration information for hedgesgoc.com. He said it usually includes a name, an address, maybe even a phone number. But this only made things more complicated. North Koreans, man. I tried to find this “Bukhari Mubarak” character on Facebook, but evidently “Bukhari Mubarak” is like “John Smith” in some parts of the world. Just a needle in a giant, Asian haystack. 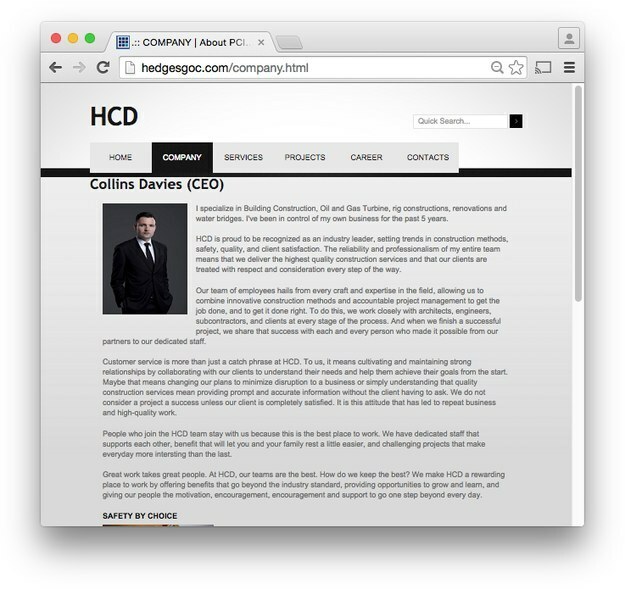 At this point, all I know is that Collins Davies, CEO of Hedge Corp, is missing. And only Bukhari Mubarak from Handgzhou knows where he is. Collins. 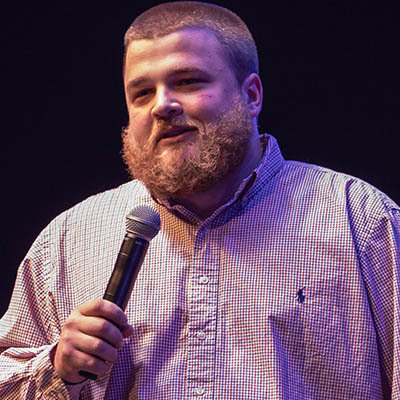 If you’re out there, come home, buddy. I still want the job.